I want to let all Haitians know that I stand with them in this very difficult hour. As you almost certainly know, a magnitude 7.0 earthquake hit Haiti on Tuesday, January 12, 2010. Tens of thousands of people are dead, and a third of the country's residents may need emergency aid. This very serious earthquake has further intensified the poverty and suffering in Haiti. It is my hope that the world will realize that it is not enough to be united only during tragic times, but that unity is required at all times from all of us. For any other country in the Western Hemisphere, something like this is a disaster; for Haiti, it is an apocalypse. 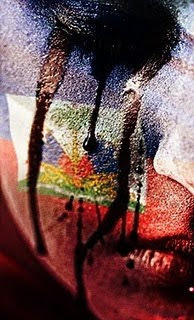 My prayers go out to the Haitian people; the living, the injured and the departed. Haiti is the poorest country in the western hemisphere and its past 200 years of history is one marred with corrupt governments and multiple invasions of internal affairs by the US and France. The Haitian people are strong. Their country was the first free black country in the western hemisphere. During the colonial era, Haiti and Ethiopia were the only free and independent black nations. When Fascist Italy invaded Ethiopia in 1935 and the League of Nations lifted its sanctions against Italy and the rest of the world was indifferent to Ethiopia’s suffering under Fascist Italy, Haiti was there. Haiti was one of only five countries that refused to recognize Italy’s conquest, along with the U.S.S.R, USA, Mexico and New Zealand. Haiti was the world’s first independent Black Republic, and many of us feel a special pride in the country’s origins. Haiti’s former slaves took on Napoleon and declared their independence from France in 1804, many years before the United States, and the rest of the Western Hemisphere would end slavery. In those early years, the small island nation was seen as a thorn in the side of its neighbors in the Americas and Europe. With their act of defiance, Haitians proved that black people could govern themselves at a time when leaders of the world’s most powerful countries considered Africans and African descendants less than human. Since that revolutionary moment, the country’s resident have often suffered. Haiti has four out of five people living in poverty, and 50% of its population cannot read. The 2008 hurricane season was especially devastating for Haiti where more than 800 people died from four consecutive storms (Faye, Gustav, Hanna and Ike), and thousands more were left homeless. Tuesday’s earthquake dealt the latest and most devastating blow to Haiti. The recovery will be long and hard. The financial support we give today needs to be just the beginning, but this will be a crucial start. It is the time to help, and we must do so with urgency. Please consider giving what you can; give without desire for recognition. Below are some of the organizations that are providing critically needed services. Thanks for standing for these people, I am fully on board with you. Take care, and have a nice day. Linda, This was such a powerful post! Thank you for the history lesson as well. Hi Linda, thanks for posting your blog. We do have to pray for the people of Haiti.